Margaret Paul, PhD, is cocreator of the powerful Inner Bonding(R) self-healing process and the related SelfQuest(R) self-healing software program. Paul holds a PhD in psychology, has appeared on numerous radio and television shows, and has been counseling individuals and couples since 1968. 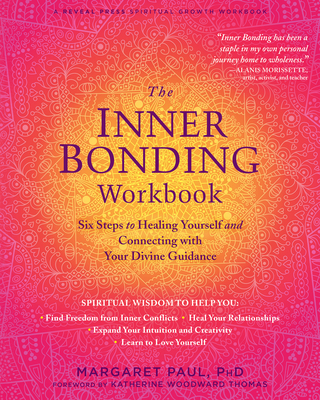 She has led groups, taught classes and workshops, and worked with partnerships and businesses since 1973, and has been speaking publicly and teaching Inner Bonding seminars and workshops since 1983--both nationally and internationally. Paul is on the faculty at The Shift Network, has taught at the Kripalu Center for many years, and is also currently teaching at The Art of Living Center and 1440 Multiversity. She is coauthor of Do I Have to Give Up Me to Be Loved By You?, Do I Have to Give Up Me to Be Loved By My Kids?, Do I Have to Give Up Me to Be Loved By You Workbook, Healing Your Aloneness, and The Healing Your Aloneness Workbook; and author of Inner Bonding, Do I Have to Give Up Me to Be Loved By God?, and Diet for Divine Connection. Her books have been translated into eleven languages. Foreword writer Katherine Woodward Thomas is author of the New York Times bestsellers, Calling in "The One" and Conscious Uncoupling, which inspired the conscious divorce of actress Gwyneth Paltrow and musician Chris Martin, and launched a movement towards kinder, more respectful breakups and divorce. Katherine is a licensed marriage and family therapist, and teacher to hundreds of thousands of people from all around the world in her virtual and in-person learning communities. For more information, please visit www.katherinewoodwardthomas.com.